As skills trainers, Dylan Weeratunge and J-J (Jeremy) Jackson, are working to build community at Andrea Place. Located in the heart of North Portland near St. Johns, Andrea Place is a licensed residential treatment facility owned and operated by Cascadia. Andrea Place houses up to 15 people with serious mental illness and developmental disabilities and is intended to be a two-year educational facility to help individuals learn and develop independent living skills and assist them with moving on to greater independence. On a daily basis, Weeatunge and Jackson meet 1:1 with the people living at Andrea Place, host community meetings, guide outings to various places around Portland, ranging from Mt. Tabor to the library, and provide training, all to ease their transition to independent living. Through this work, they are also often brainstorming ways to further enhance their skills training. Exploring what community is — how to build a healthy community, and how to encourage safety, support, and advocacy — Weeratunge and Jackson decided it would be helpful to address negative beliefs specifically surrounding law enforcement. “Many of our clients are hospitalized, usually against their will, and go in and out of the system throughout their lifetime,” Weeratunge says. This can create a distrust of people in uniform, especially police officers. 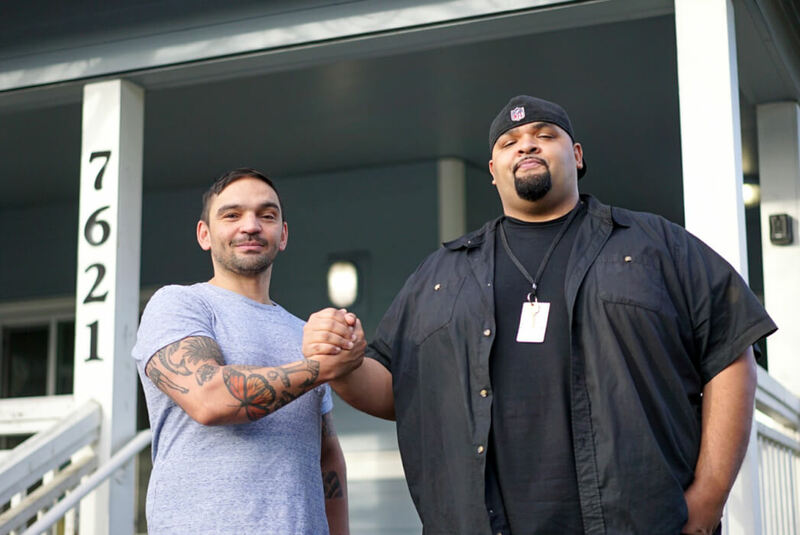 Focusing on creating positive encounters, they started by contacting Portland Police Bureau’s Behavioral Health Unit (BHU), “as they directly deal with our clients quite possibly on the client’s hardest day,” Weeratunge says. Created in 2013, the BHU is advised by a committee which includes Cascadia’s Chief Clinical Officer, Beth Epps. The unit’s mission is to coordinate the response of law enforcement and the behavioral health system and oversees Crisis Intervention Training for all officers, an Enhanced Crisis Intervention Team, a Service Coordination Team, and the Behavioral Health Response Teams (BHRT). The BHRTs are made up of a patrol officer and a clinician from Cascadia’s Project Respond team, and follow up with individuals in mental health crisis referred by Portland Police. In the planning process Weeratunge connected with Lieutenant Casey Hettman, a member of the BHU, who sees the BHU as a bridge between the police and community members. “The BHU has a unique position in bringing community partners, criminal justice partners, and health providers together to create positive resolutions for [the people] we are working with, ideally, reducing encounters with police,” he says. Walking into the coffee shop that day, Weeratunge was moved as he watched the people from Andrea Place sit down with the BHRT members over a cup of coffee and begin talking. Weeratunge noted in particular, one person — who in the past cursed at every police officer or police car they came in contact with — told Weeratunge that he felt listened to and was given the police officer’s card so he had his phone number. Now when the people from Andrea Place see a police car or police officer, they speak of their recent meeting at the coffee shop, Weeratunge says. With such a positive start, Weeratunge and Jackson hope to host these meetups every two to three months to continue building rapport and community between Andrea Place and the Behavioral Health Response Teams.